After weeks of speculations, Tesla has unveiled Autopilot system. 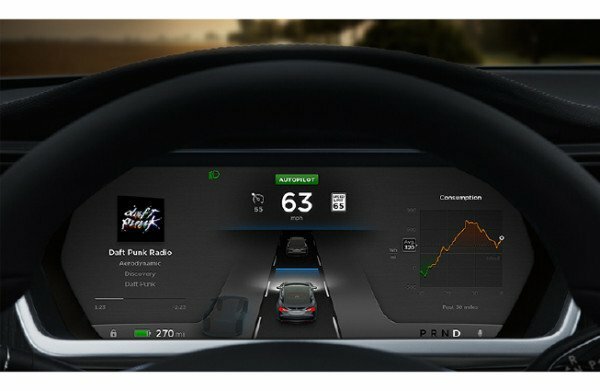 While not fully self-driving, the software means the Model S and new Model X can “automatically steer down the highway, change lanes, and adjust speed in response to traffic”. Tesla CEO Elon Musk said the Autopilot mode was designed to increase driver confidence on the road. However, Elon Musk said users adopting the software – available in North America from October 15 – should exercise caution while using it. “It should not hit pedestrians, hopefully,” he told the media. Unlike Google, which is aiming for a fully-autonomous vehicle, Tesla’s approach is to gradually introduce features which take away the need for drivers to carry out certain functions. Elon Musk said: “Currently there are limitations to the software which would improve over time. “If there’s heavy snow it’s going to be harder for the system to work, so we’d advise caution. “Essentially it’s like a person – how well can a person figure out what route they should take. Over time it will be better than a person. Other carmakers such as BMW and Volvo are also developing, and implementing, autonomous features to their cars. Google’s entirely self-driving car has clocked up well over one million miles on public roads, mostly in California.